Farming groups in the US have warned closure of the southern border would be ‘disastrous’ for American agriculture, as rhetoric and threats from President Donald Trump escalate. The President last week threatened to close the border to halt illegal immigration, but later said the US would give people a one-year warning. The US was also the most important export market for Mexican agriculture. American NFU president Roger Johnson said closure would risk essential trade and the country’s reputation. He said it would result in lost markets and lower prices for farmers. He added: “For two years, President Trump has dug American agriculture into a deep hole. We have lost markets that took decades to build and, worse yet, we have lost our reputation as a reliable trading partner. 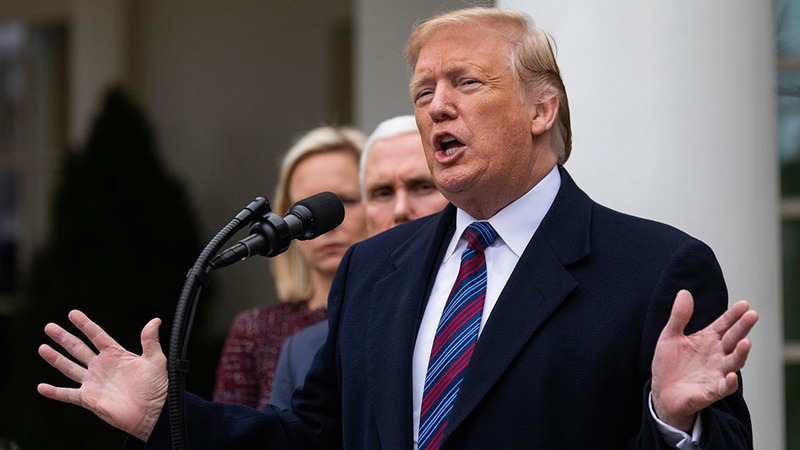 He added many farms were already under ‘dire financial strain’ because of drops in prices over the past five years and the President’s approach to trade had exacerbated the situation. The National Pork Producers Council president, David Herring, urged the Government to carefully consider the effect on farms, as the industry could not afford to lose the Mexican market. He said: “A cloud of uncertainty and restricted access to our most important export markets have strained US pork producers and their families for more than a year. He added they recognised the importance of border security. But he urged Mr Trump to instead end the current trade disputes and focus on expanding export markets.